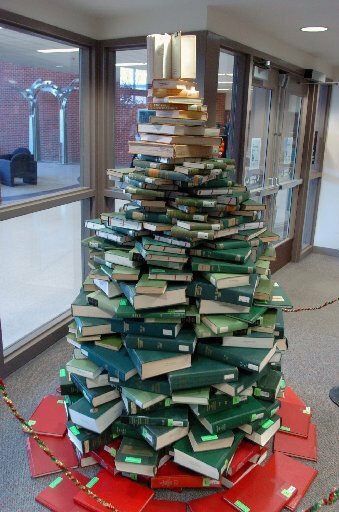 If you're "decking the halls" for the holiday season at your library but lack fancy decorations, take a look at BookRiot's 7 Bookish Craft Projects to Put You in the Christmas Spirit for get ideas to upcycle weeded books. Need more inspiration? Check the Book Upcycling - Holidays Pinterest board. ornament: What have I done now?